A new report from Teagasc about sustainability on Irish farms has found an average of 5.1 tonnes of greenhouse gases are emitted for every hectare of land farmed in Ireland. Within that, 4.8 tonnes of greenhouse gas was directly attributable to agricultural activities. The remaining 0.3 tonnes was emitted as a result of the energy used in farming. Teagasc also found that when the smallest farms are excluded (those producing less than €8,000 of output per year) the average working farm in Ireland was responsible for 204 tonnes of greenhouse gas emissions in 2017. That represented an increase of 6.25% compared with 2012 driven with the expansion of the dairy herd being the main factor behind the increase. Ireland's overall greenhouse gas emissions for 2017 amounted to 60.751 million tonnes or 12.55 tonnes of greenhouse gas emissions for every man woman and child in the country. That means the average greenhouse gas emissions per farm is equivalent to the national emissions of 16 people. A total of more than 93,000 farms are represented by the Teagasc farm sustainability report. Today's report makes it clear however, that all farms are not the same when it comes to emissions. 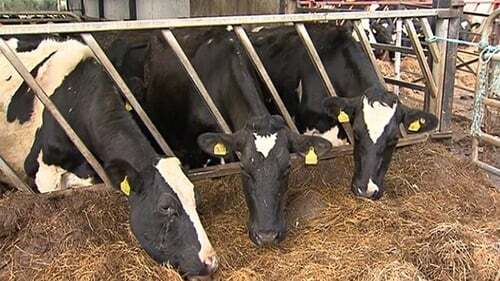 The average dairy farm in Ireland emits 502 tonnes of greenhouse gases per year. This is three and a half times more than the average for beef farms, and for sheep farms, and it is four times more than the average for tillage farms. The report also reveals that average greenhouse gas emissions from dairy farms have grown by almost 18% since 2012 as herds and farm sizes have grown. The report also illustrates a large income gap between dairy farms and other farm types in Ireland, which has accelerated with the growth in Irish milk production in recent years. It found that profitability per hectare among dairy farms averaged €2,111 in 2017 compared with just €533 on cattle farms, €545 on sheep farms, and 817 in the tillage sector. The report also demonstrates the positive relationship between economic profitability and emissions efficiency, with the highest levels of emissions efficiency tending to be found on the most profitable farms. This suggests that improvement in economic sustainability can be achieved side by side with improvements in emissions efficiency. Commenting on the release of the report Teagasc Director Professor Gerry Boyle said that the breadth of detail now available in the Teagasc Sustainability Report means that the report is an exemplar for other organisations to follow internationally.